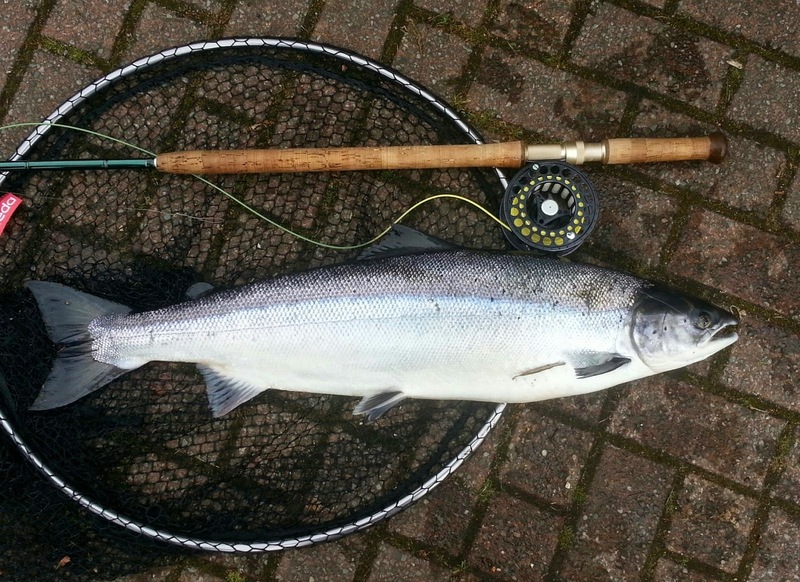 June 2014 Fish of the Month Entry - Leven Springer! Stephen Japp kicks off this months contest with a fine Salmon from the River Leven on a Gold Bodied Willie Gunn, his first on the fly rod! Unfortunately the fish was so deeply hooked it had to be kept for the table and couldn't be returned as planned.